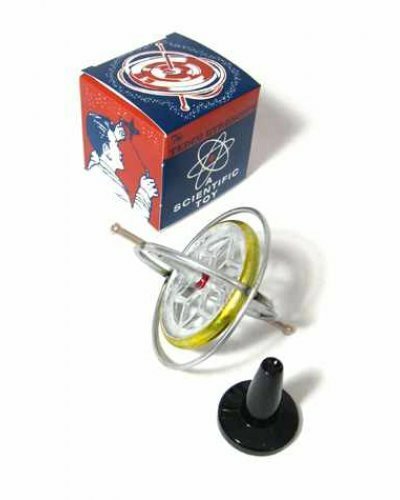 Produced since 1917, the gyroscope has been a classic educational toy for generations. It continues to fascinate young and old alike with its mysterious force that seems to defy gravity. 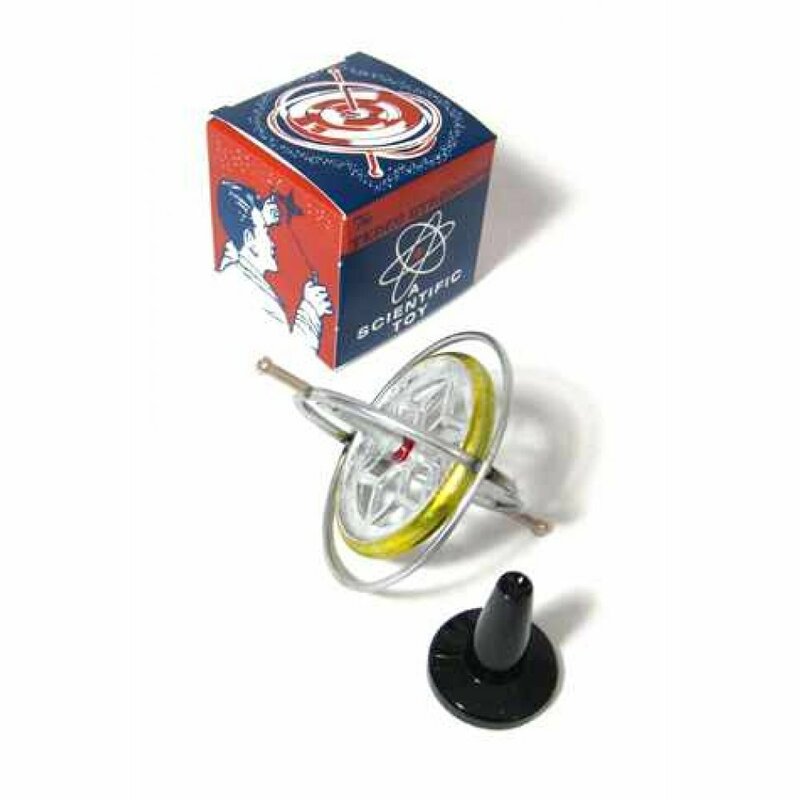 Each gyroscope toy is packed in a retro graphics box with starting string, pedestal and instructions for several amazing tricks. 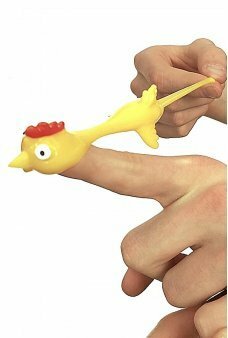 Package: 1950's Era Color Box with Space Graphics - "The Tedco Gyroscope, A scientific toy"
Just flip your wrist and release the stretchy chickens into the air. 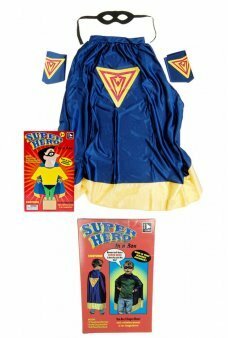 Our Chicken Flinger set of..
You are a Super Hero with our Hero in a Box! You get an Action Filled Cape, Identity Concealin.. 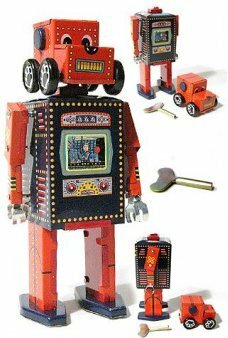 Planet Robot has sparks fly inside his mask as he walks with an On/Off switch on his front side. 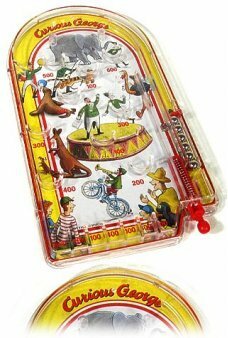 ..
A Curious George at the Circus themed classic tin pinball game! Just pull the launcher and score wi.. 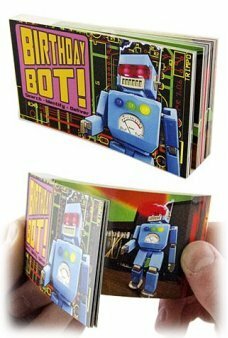 The original tin robot Dog to the rescue! Rover walks like an upright robot swinging his arms. His h..